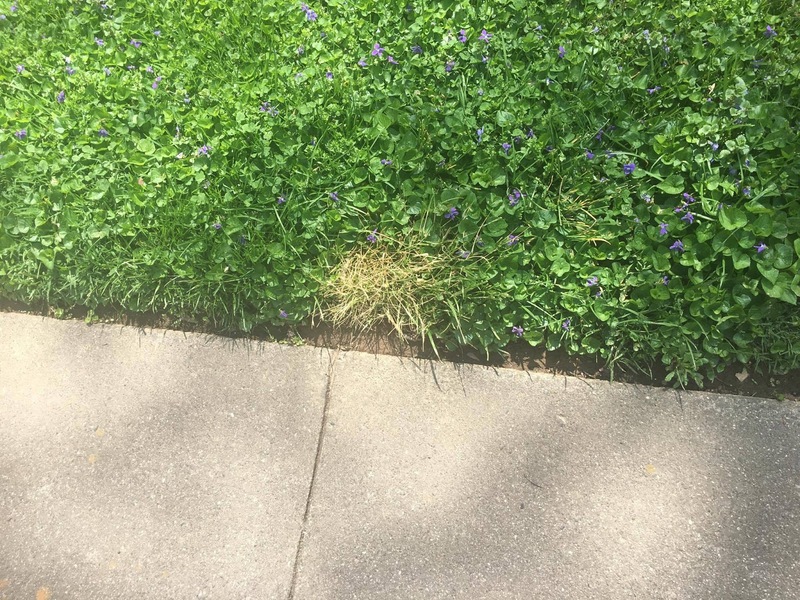 Last week, I wrote about using DIY weed killers in place of commercial herbicides that are available for a premium price stacked in your local garden center. If you are maintaining your own property, it only makes sense to use the cheapest and safest thing you can, and that often is something you make yourself. As I mentioned, loyal reader L. has gone the extra mile to experiment with a gallon of vinegar and a tablespoon of Dawn dishwashing liquid. She shared her results with me and gave me permission to share them with you. 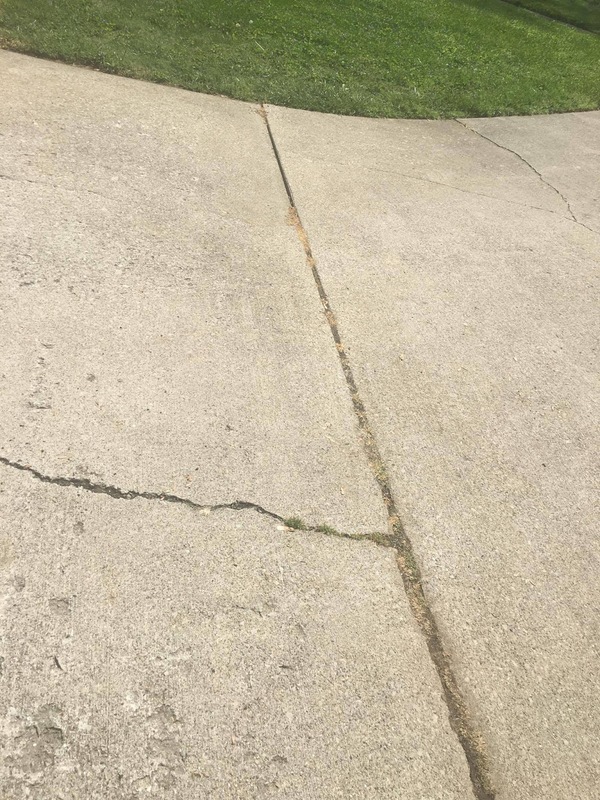 In the top two photos, you can see how beautifully this solution worked on both driveway seams and on mulch around posts. I might mix some of this up just to do a strategic kill of the grass around the stop sign in our yard, because I'm getting mightily tired of weed whacking around it! The bottom is your cautionary tale. 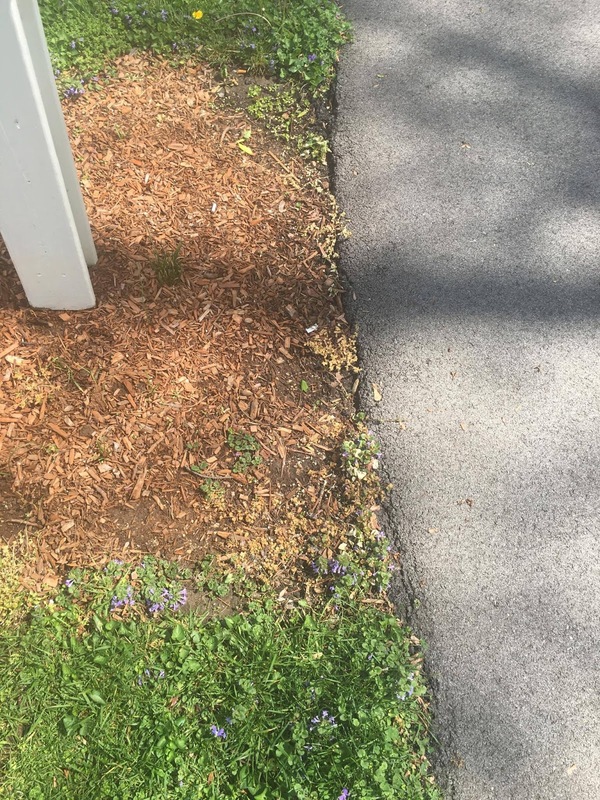 The solution will kill grass, so if that is a concern for you, you will want to exercise caution. But, if you look closely in the bottom photo, you'll see some lovely little violets popping their heads up, which I always think is so pretty in a yard! 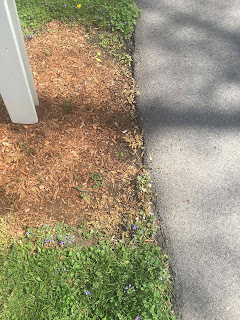 Not only do the bees love the spring flowers, but encouraging the low groundcover reduces the amount of grass we have and therefore the amount of mowing we have to do. 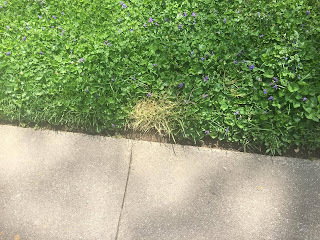 As I mentioned last week, we have whole patches that we no longer have to mow regularly just because we've encouraged the grass to depart in favor of something prettier. It isn't for everyone, and if you absolutely love a yard that looks like a golf course, you should go for it. To each his own. In any event, thank you to L. for sharing her findings with us!